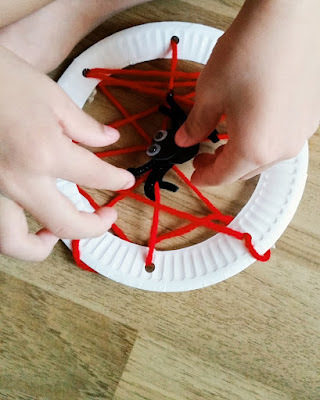 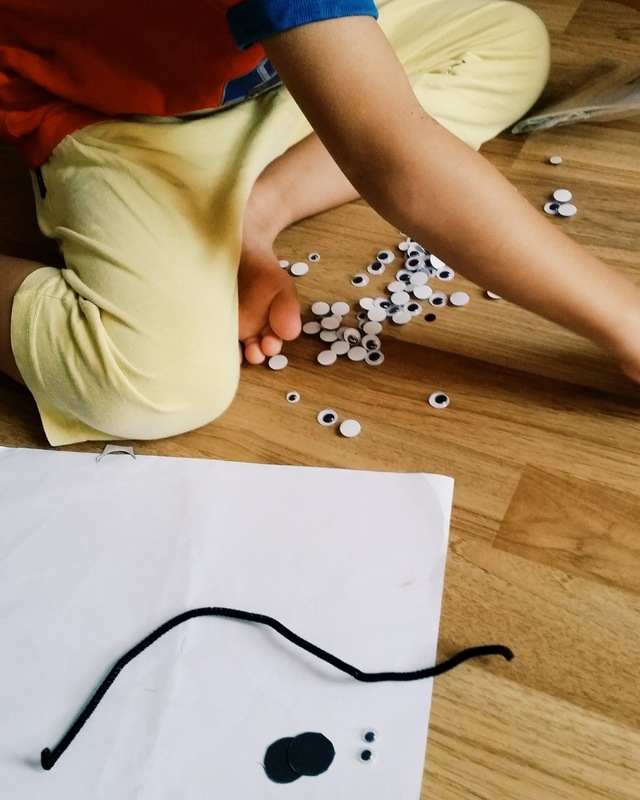 Lately, Bubs has been learning finger weaving at school and was very excited about it so paper plate weaving (or building a spiderweb as we called it) was a fun way to show him other forms of weaving. This needs just a lil amount of prep work which I did when Bubs was having his afternoon nap. 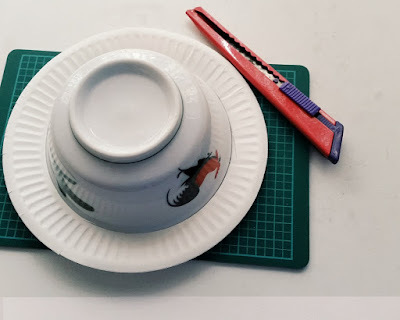 Cut out a circle in the paper plate, leaving just the rim behind. The easiest way to do this is to place a bowl in the center then slice carefully using a penknife. 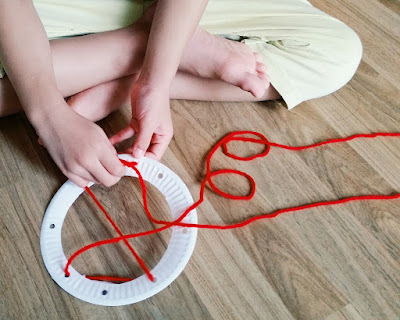 Cut out a long piece of yarn. 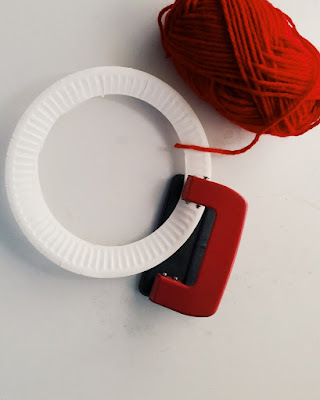 Start by taping 1 end of the yarn to the plate and thread the other end through the holes. Continue until you've completed the length of yarn and tape securely. 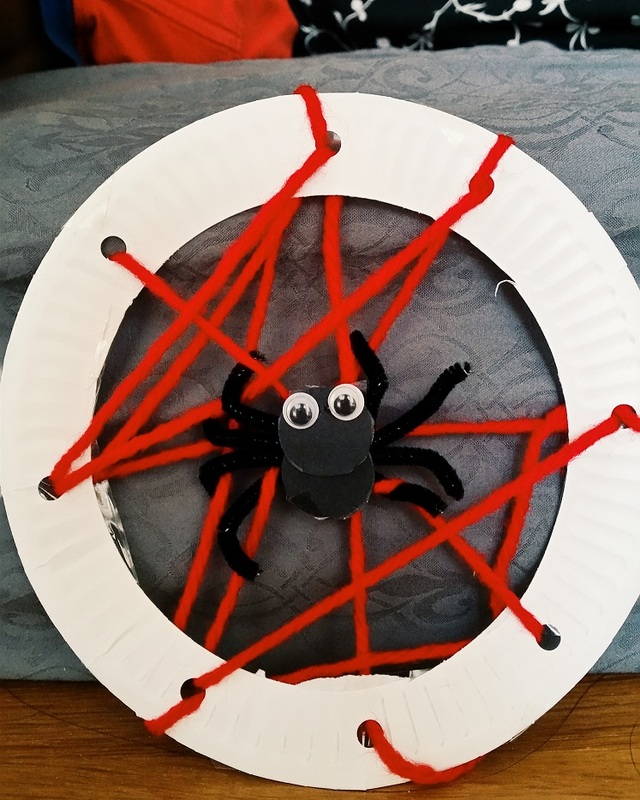 Every spider web needs a spider, right? The easiest way to do this is cut out 2 coin sized black card stock and glue them together. Use pipe cleaners and goggly eyes to embellish anyway you want. 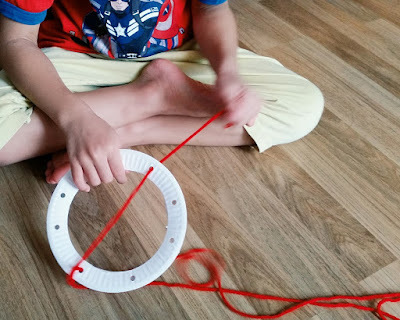 If you used pipe cleaners for the legs, carefully position them onto the yarn web by twisting them around. Otherwise, you could just glue them together.